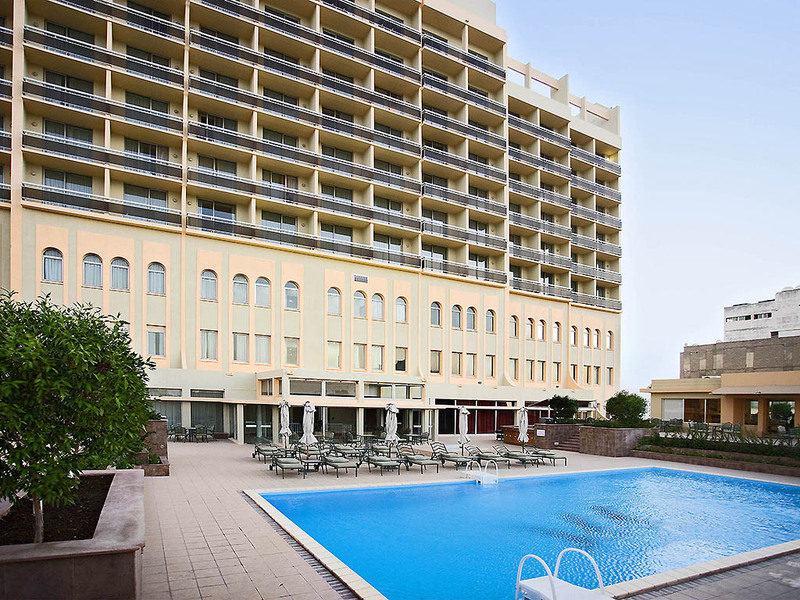 On the Arabian Gulf, the Mercure Grand Hotel sits in the heart of the bustling business district of Doha near Souq Waqif, the Arab marketplace and the Musheireb Downtown Project with the Future Metro Station. Our four meeting rooms for up to 200 people will meet your every business needs, while our restaurants and bars will take care of your appetite as you dine on international cuisine at La Brasserie, Mediterranean flavours at La Villa, and fine steaks at The Old Manor Steakhouse and Bar. Our French Café style Restaurant has a wide choice of continental buffet for Breakfast, Lunch and Dinner. The restaurant with its unique homely atmosphere serves Silk Road menu. The restaurant is located on the top floor and offers a panoramic view of Doha city. English style steakhouse bar serving a variety of cocktails and drinks to complement our wide choice of grilled steaks.Located on the top floor offering breathtaking views of Doha city. Dear guest, Thank you for your rating and the best comment. Very soon the surrounding construction will come to an end and this area will be the prime loaction in Doha down town. The main metro station also situated in this area which will be connecting to main cities, shopping malls and sports venues. We hope your future stay will be a pleasant one. Sincerely MOSES Guest relations officer. Dear Customer thanks you for your review. The hotel is in a middle of a huge project of renovation of the city center of Doha call Mushreib. Even they have started the underground metro station. Recently we have been informed that the hotel will not be demolished, and we are for the moment in discussion with the owners to do a full renovation of the building. All parts are agreed on the emergency of the project. I a near Future, A Pullman, A M Gallery will open in Doha and today we have an Adagio Premium that joins us. Thank you for your comments on the service.